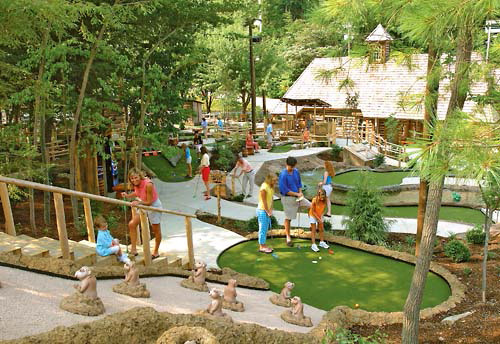 Play Gatlinburg’s most entertaining mini-golf with two amazing 18-hole state-of-the-art golf courses including interactive displays and animated animals. Themed courses replicate the ‘old days’ when a Tennessee hero named Davy Crockett roamed ‘them thar hills.’ You will find some of the world's most original golf holes complete with steep drops, over and under ramps, splits, and lots of water! Two amazing 18-hole State-of-the-Art golf courses for one low price. Animated characters and interactive displays. Located on the Gatlinburg Parkway at Traffic light #1. 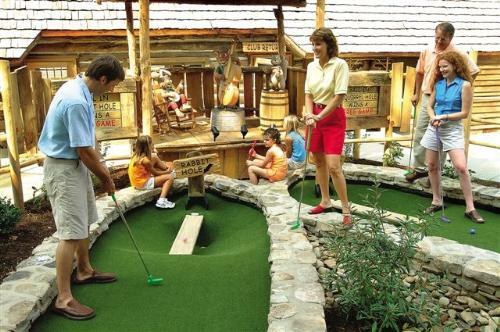 Play Gatlinburg’s Most Entertaining Mini-Golf! 36 Times the Fun for the Entire Family! 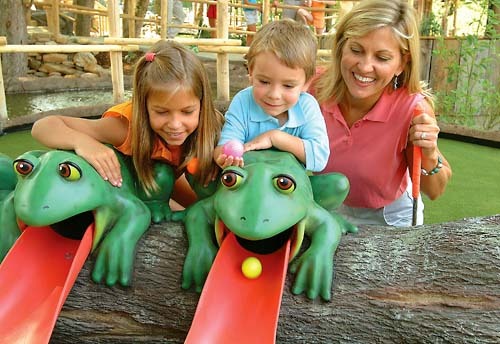 Two Amazing 18-hole State-of-the-Art golf courses with interactive displays and animated animals. Free parking or ride the Trolley. 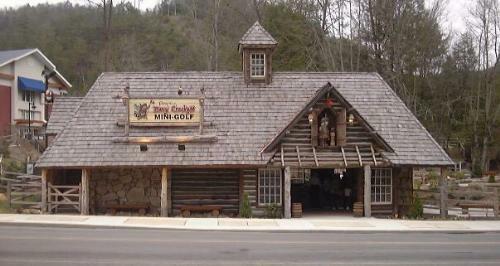 Themed courses replicate the "old days" when a Tennessee hero named Davy Crockett roamed "them thar hills". You will find some of the world's most original golf holes complete with steep drops, splits, over and under ramps, lots of water, and even a hillbilly outhouse that flushes when your putt is right on target. Hours of operation vary by season and are weather permitting. How many mini-golf courses are available? 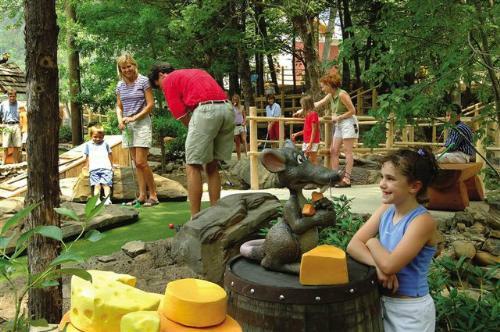 Ripley’s Davy Crockett Mini-Golf offers two 18-hole mini-golf courses for a full day of fun. 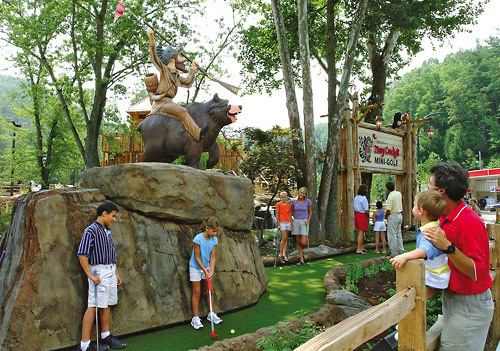 Where is Ripley’s Davy Crockett Mini-Golf located? At traffic light #1 on the Gatlinburg Parkway. The mini-golf course is open Sunday through Thursday from 10:00 am – 11:00 pm and Friday through Saturday from 10:00 am - 12:00 am, weather permitting.